Give your grandchild the gift of a lifetime. College savings can change their world and benefit yours. You want your grandchild to have the brightest future possible. Investing any amount with NEST 529 for their college education is one big way to help. With a 529 account, you can control the money and enjoy tax advantages, and rest assured that the money is used for higher education. You can open your own account and control all aspects of it. Or, you can easily contribute into an account already opened for your grandchild. At NEST, we're flexible and make it easy for you to give the gift of a bright future. NEST 529 has grandparents in mind. Below you'll find information and opportunities compiled specifically for grandparents. And, if you want to learn more about why saving for college is important, check out our four facts about college savings. 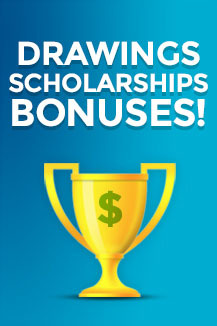 We regularly offer scholarships, contests and drawings — check back often to see the latest opportunities. 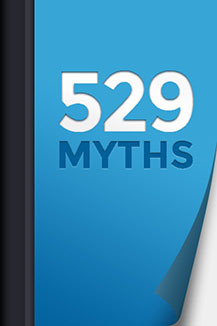 We address the most frequently misunderstood aspects of grandparents and 529’s with a quick-read insight sheet. Download now. See how a 529 can benefit you and why opening an account for your grandchild could make sense in more ways than providing an education. We're here to help you start. With NEST, you'll get a low-cost, highly-rated plan with outstanding customer service. 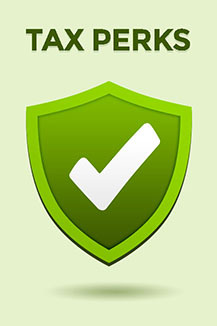 Our account opening process is quick and easy either online or by mail. We're happy to help you with any questions you may have during the process, just call toll free: 1.888.993.3746 Monday-Friday, 8:00 a.m. to 8:00 p.m., CT.